Your Price: $639.00 - UPS Shipping FREE! 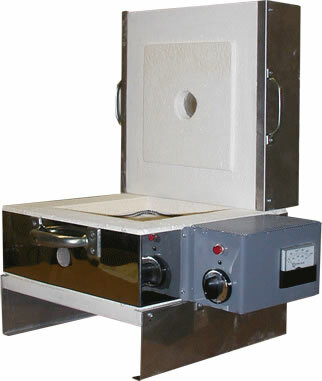 Inside dimensions: 8" x 8" wide x 4.5" deep, fires to 1800°F; fiber lid and bottom, removable lid, bottom and firing chamber with handles on each section. Model comes with attached stand to bottom, one peephole plug, instruction manual, and warranty card. Your price - $639.00 - UPS Shipping FREE! Your price - $649.00 - UPS Shipping FREE! 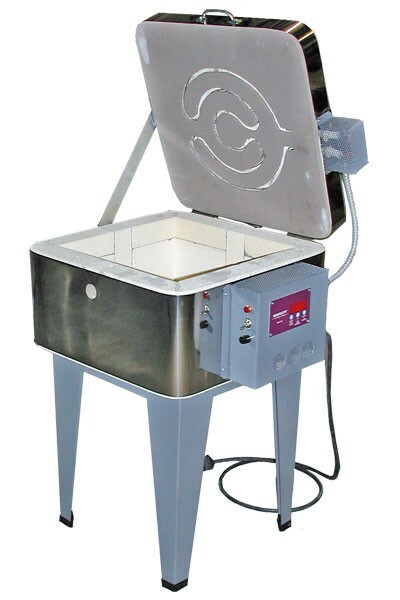 120V Glass Fusing Kiln - Top AND Side Elements! Your Price: $974.00 - SHIPS FREE! 100 lbs. 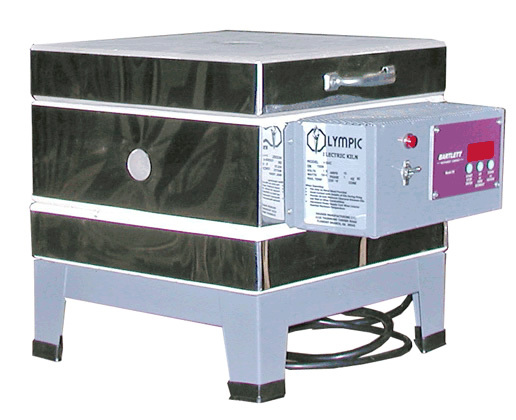 ship weight kiln only, kit weight 18 lbs. Your Price: $969.00 - SHIPS FREE! 145 lbs. 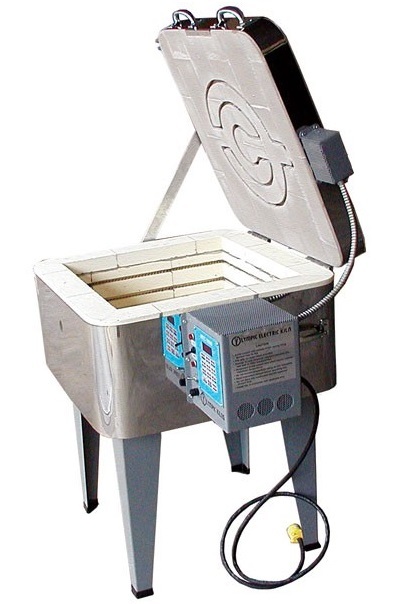 ship weight kiln only, kit weight 18 lbs. 180 lbs. 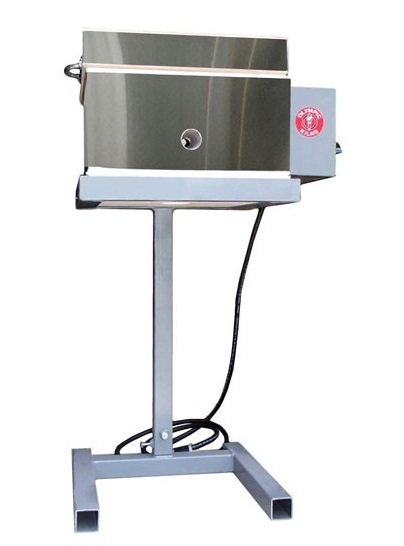 ship weight kiln only, kit weight 18 lbs. 200 lbs. 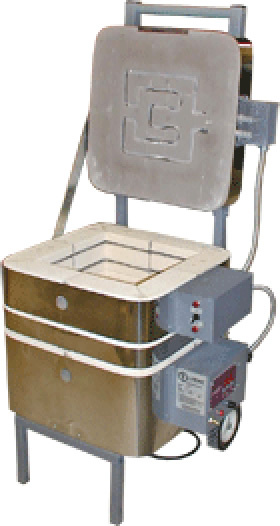 ship weight kiln only, kit weight 18 lbs. Inside dimensions: 11 ½ " x 11 ½ " wide x 11 " deep, fires to 2000° F.
Model comes with attached stand with castors, three peephole plugs, lid wedge, instruction manual, and warranty card. Inside dimensions of kiln: 8" x 8" wide x 6.5" deep, fires to cone 10/2350F; with adjustable stand ranging in height 23" to 33" tall. 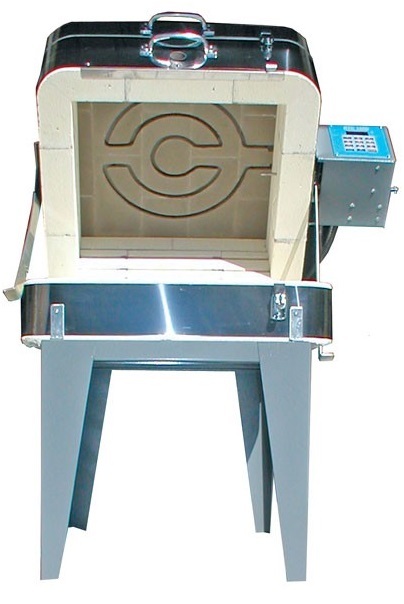 The HB86P Vitrigraph comes with 2 floors, 1 fiber & 1 cordierite - both floors with holes for stringers to flow through. 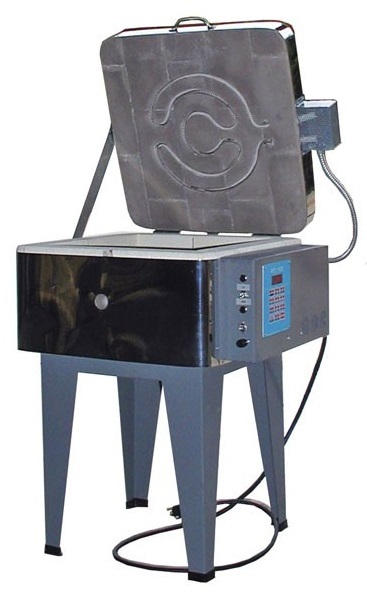 The solid brick floor can be used for firing the kiln during regular use: slumping, fusing, jewelry making, testing, etc.